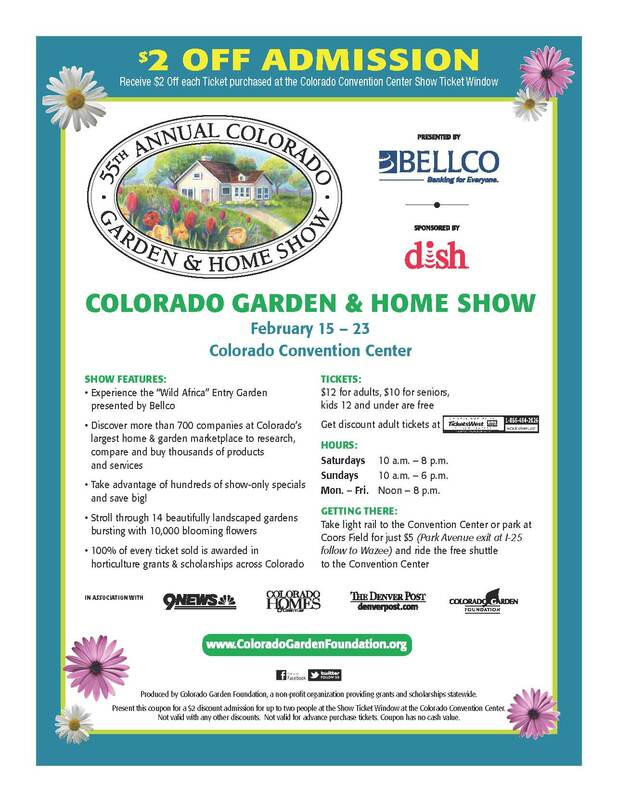 The 2014 Colorado Garden & Home Show begins on Saturday, February 15th – that’s only four days away! In order to make the most of the show, click on and print out the coupon on the right. Take it to the ticket window of the show at the Colorado Convention Center to obtain a discount of $2 off each ticket purchased. The 9-day long show will feature 14 beautifully landscaped gardens, over 650 vendors, educational seminars, and a “Wild Africa” entry garden. 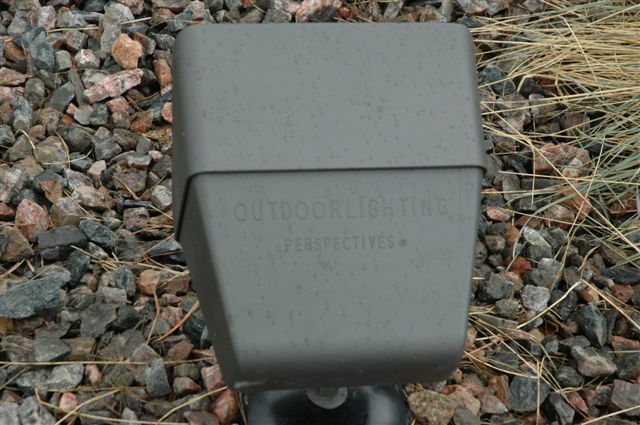 Also be sure to stop by to see the Outdoor Lighting Perspectives exhibit (#1442) to see the latest in architectural/landscape/outdoor lighting products along with turnkey design, installation, and maintenance services. where we will have some exciting show specials. We will be listing our show specials on a subsequent blog posting. 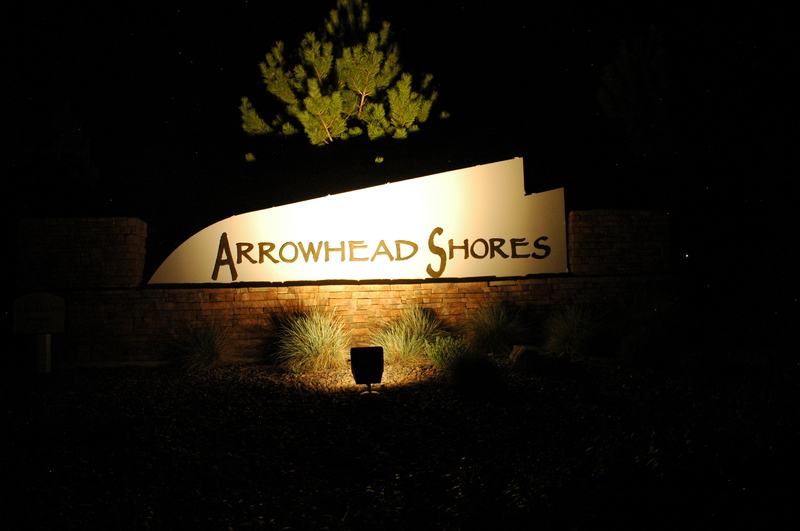 Last week, Outdoor Lighting Perspectives (OLP) of Colorado installed its first commercial LED fixtures at three community entrances in Arrowhead Shores (located in the Roxborough Village area of Douglas County). The new 24W LED fixtures with a rated life of 50,000 hours, manufactured by OLP’s factory in Nashville, replaced the old 70W metal halide fixtures with a rated bulb life of around 7,000- to 10,000- hours. The new fixtures will save the community roughly $66 annually in their electric bill, as well as savings with on-going maintenance costs to replace the metal halide bulbs and ballast. 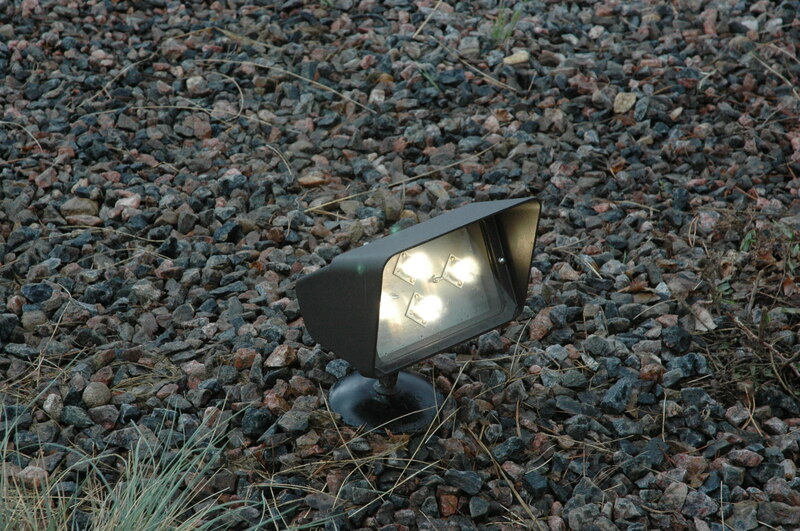 The other advantage that LED fixtures have over metal halide fixtures is that LED’s do not experience any color shift. If you’ve ever been to a sporting event where some of the lights appear to be white, pink, green, or blue, etc., you’re actually seeing metal halide bulbs in different points in their life cycle. 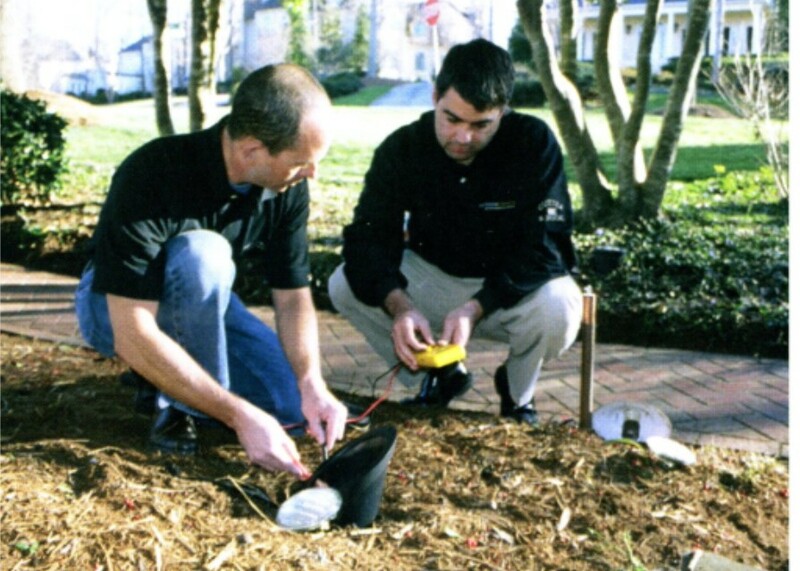 Since the original lighting fixtures were powered by line voltage, we used line voltage for the new fixtures as well. However, each fixture had a small, self-contained low voltage transformer to power the four, 6W LEDs in each unit. As you can see in the photo above, these very green, energy-efficient fixtures do a great job lighting a community entrance – and we look forward to installing more of these at entrance monuments and other commercial applications as well.